Call The Tutoring Center, Auburn CA at (530) 878-5010 to learn how they can help you ace your finals. It's finals week. This means that you have a ton of things to focus on: homework, group projects, presentations, tests, and a myriad of other academic duties. In order to make time for everything you have to do, it may be that you end up sacrificing your health. You stay up late or don't sleep at all, you skip meals in order to keep working, and you avoid exercising so as to not waste time. Still, this is the wrong approach to finals week. If you want to do well in your assignments and finish everything in a successful and effective manner, you need to be able to work well and fast. As you can imagine, being malnourished and tired isn't the way to achieve that. Instead, it is highly recommended that you follow a healthy routine even in finals. Sleep enough, eat well, and work out, so that your body and mind are in optimum condition to get you through your academic duties. Now, you need to study, work on your projects, go to class, and care about your health. This list of things you have to do can seem pretty overwhelming. So much so that you may be left wondering how you can achieve it all. A way to do it all in an effective way, is to create a schedule to organize your time and your efforts. To make that happen, you first need to write down all of your daily activities. Once you have them, prioritize them so you know what you need to pay the most attention to. After you have that, you will need to start setting a time frame to complete each of your duties in. Needless to say, simply creating a schedule won't do much for you. To manage your time effectively, you need to actually follow and stay on top of your schedule. The end of the year and the holidays are getting pretty close. The end of the semester is getting even closer. With all of the celebrations happening and all of the stress you're going through, a part of you may want to blow your academics off and start your winter break early. Of course, this is not a good idea, since it can seriously affect your performance and your grades. Plus, more than likely, even if you were to put social events first, you probably wouldn't be able to enjoy them much, since you would be thinking about the duties you have to fulfill. In order to guarantee you'll do well in school and that you'll be able to enjoy your well-deserved break, make sure to focus on your academics for now. Enroll in tutoring in Auburn CA to improve your learning experience. Call The Tutoring Center, Auburn CA at (530) 878-5010 for more information. If you want to do well in your finals week, more so than sleeping and following a schedule, you need to employ effective study methods that will actually help you learn. This way, you can ensure that the time you spend working on your school duties, will be fully taken advantage of. 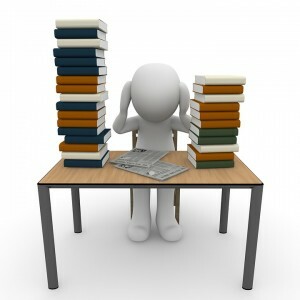 To that end, it is first recommended that you let go of ineffective study methods. For instance, you should understand that cramming the night before a test can do you more harm than good, as you're likely to forget the information you went over, and you'll be too tired from pulling an all-nighter. For a more successful learning experience, study a little bit each day, try your best to understand the information (not just memorize it), and adapt your study methods to your learning style. As a last tip, it is highly suggested that you take regular breaks as you're studying or working on your end-of-the-semester projects. This is because focusing on one task for extended periods of time can be incredibly exhausting for the brain. This may give you tunnel vision, lead you to make more mistakes, and other annoyances. That's why you should take 5 minute breaks every so often when you're working. This will give your brain a chance to relax, which will help you return to your work with a clearer mindset. To enroll in tutoring in Auburn CA, request information about academic programs, or schedule a free consultation, call The Tutoring Center, Auburn CA at (530) 878-5010.